Vibrant FUSE Wire UNIVERSAL - Dezod Motorsports Inc - Home of the automotive performance enthusiast since 2002. Vibrant FUSE Wire is the quickest, most efficient and most affordable solution to your aluminum welding needs. Skip the welder, the hassle of dealing with a welding shop and the headache of throwing away broken, cracked or shipped aluminum. Fix it within minutes with flexible, durable and easy to use FUSE. 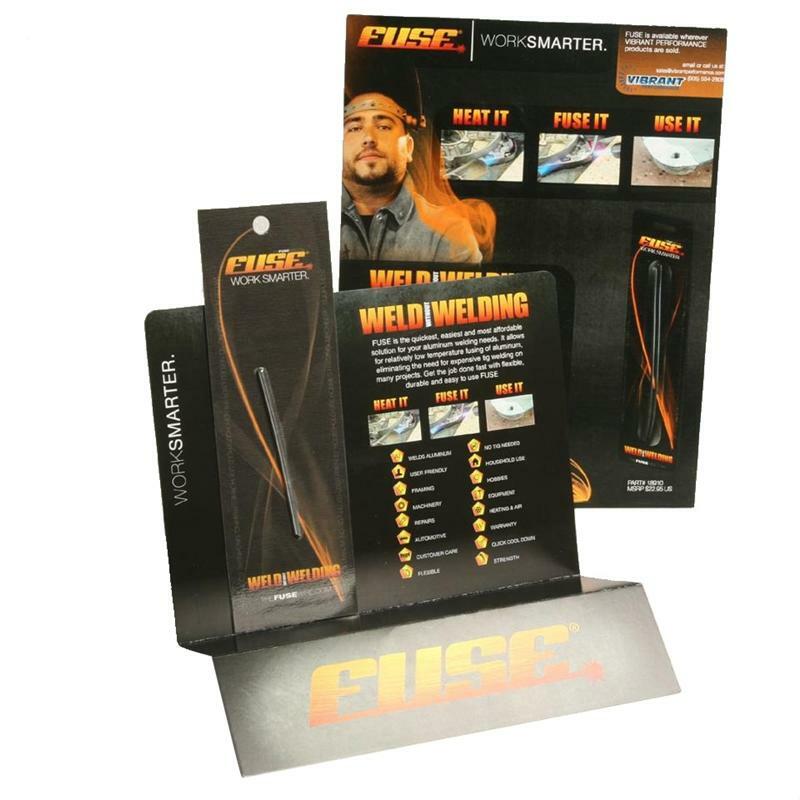 Vibrant FUSE Wire in an innovative new product that allows for an incredibly strong “weld like” bond of aluminum alloy based materials. Whether you need to “fuse” aluminum tubing to a flange or repair a broken bracket, FUSE Wire makes it easy.